Child-focused agency World Vision, together with ProFuturo Foundation, recently launched the Digital Education (ICT4E project), an initiative that aims to reduce the educational gap for boys and girls through quality education and new technology. “This 3-year project will cater to at least 482 schools across the country or more than 47,000 students,” shared World Vision executive director Rommel V. Fuerte The national launch held last January 29 in Potrero Elementary School in Malabon City, and in Leyte province on January 31. “We are excited to bring this innovation to the children, especially in areas where access to such is very limited,” added Fuerte. Digital Education (ICT4E) project will provide assisted schools with digital education tools that work online and offline. For schools with necessary equipment and internet connection, software that contains various learning resources for Literacy, Science, Technology and Math, including life skills, digital skills and communications will be installed. In Malabon, seven schools will benefit from the project. Meanwhile, in areas where there is no equipment or connectivity, the digital classroom in a suitcase will be deployed. The suitcase has laptop for the teacher, tablets for the students and a router to set up network access so that users are able to access resources offline. “When I first used the tablet and accessed the lesson being taught by our teacher, I was both nervous and excited. It was a fun experience and it made me feel confident,” shares 10-year old Aira who is now one of the students able to benefit from the digital classroom. To address the technological divide between students and teachers, World Vision, through ProFuturo Foundation, also invests on the capacity building of teachers who will be facilitating the digital classrooms. 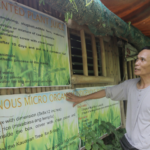 In Leyte, Teacher Zenaida has been teaching Mathematics for 30 years now. Although she was at first worried if she will be able to cope because she is used to traditional way of teaching, she shares that the project is a welcome initiative. “It matters that teachers like us are first empowered and trained before the project implementation. After the initial training, I realized that at my age, I can still cope with this digital age. I also appreciate how we are able to customize our learning sessions using the resources in the platforms so that they are adaptive to the learners’ learning curves and needs,” Zenaida smiles. Why invest in digital education? In 2018, the Philippines ranked 73rd among 126 economies in the Global Innovation Index (GII), maintaining its spot from the previous year. The GII gauges a country’s innovation performance by looking into its institutions, infrastructure, business and market sophistication, knowledge and technology outputs, human and capital research, and creative outputs. While the Philippines fared quite well in business sophistication (44th) and knowledge and technology outputs (49th), several sub-indices proved to be problematic. Under infrastructure, Philippines ranked 75th in information, communication and technology (ICT). Its sub-indices, ICT access and ICT use are at 86th and 83rd ranks, respectively, showing that the country is among the worst in both. Education, meanwhile, has been ranked 105th. What connection does ICT have with Education? Hazel, an English teacher in a World Vision-assisted school in Antique shares that the delay or sometimes the lack of instructional materials hamper their goal to give quality education to children. “I try to research other learning materials in the Internet to compensate for these shortcomings but even the Internet connection could sometimes be a problem,” she shares, adding that she also noticed the digital divide not only between her students who have access to gadgets and the internet and those who do not have but also between teachers and students. “The gap has to be bridged,” she adds. Aira, who is now in Grade 5 never had a cell phone or operated a computer. The tablet deployed in her school was the first gadget she has ever explored. “Before when we have assignments, I make do with what is available. Sometimes, I’d feel bad because some of my classmates have other means to do the task while I do not have one. I also can’t relate when they talk about the internet or their gadgets,” Aira shares, adding that despite that, she was still determined to study hard. The Philippines Education for All (EFA) 2015 Review report highlights the struggle, with learner-to-computer (LCR) ratio at the primary and secondary level, are 412:1 and 49:1, respectively. In addition, the internet and fixed broadband are only available in 7% of primary schools and 40% of secondary educational institutions. The Philippines was also ranked 74th out of 77 countries in terms of 4G or fourth generation mobile internet technology which is the standard for mobile network connectivity. “The low rating in Education can’t be totally blamed to lack of access to ICT, although the interconnectedness of both, especially in this era of change and innovation, is undeniable. Investing in digital education where students and teachers are able to maximize online and offline learning not just benefits the children but also the whole country. These kids will grow up to be the future leaders of the nation,” shares Aldwin Jamora, World Vision’s Digital Education project manager. While research reports show a glaring reality on ICT and Education in the country, different stakeholders, headed by the Department of Education, are doing their best to bridge the technological gap. In 1996, the agency embarked on a 10-year modernization program, introducing information technology in improving the teaching and learning process. 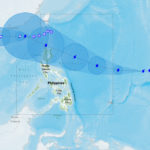 Last year, 2018, DepEd unveiled its information, communication and technology roadmap, with the objective of helping students to develop a) abilities to seek, evaluate, organise and present information; b) higher order thinking skills; c) habits of life-long learning to fully participate in the information age; and, d) an understanding of the pervasive impact of ICT on their daily lives and the society. ProFuturo’s mission is to narrow the education gap in the world by providing quality digital education for children in vulnerable environments in Asia, sub-Saharan Africa and Latin America. Its education proposal includes the professional development of teaching staff through training, digital resources, and new teaching-learning methodologies. During the Profuturo project kick off in Malabon, the Department of Education- National Capital Region (NCR) expressed his warm reception of the project: “We share the joy of DepEd Malabon City in thanking Profuturo and World Vision for bringing into our system, the digital education initiatives opening the world of opportunities for better learning and teaching among our learners and teachers. Education being the most powerful tool for reducing inequality and building a foundation for sustainable growth,” shared DepEd NCR regional director Dr. Wilfredo Cabral, from the message read by his assistant regional director Dr. Toletino G. Aquino. 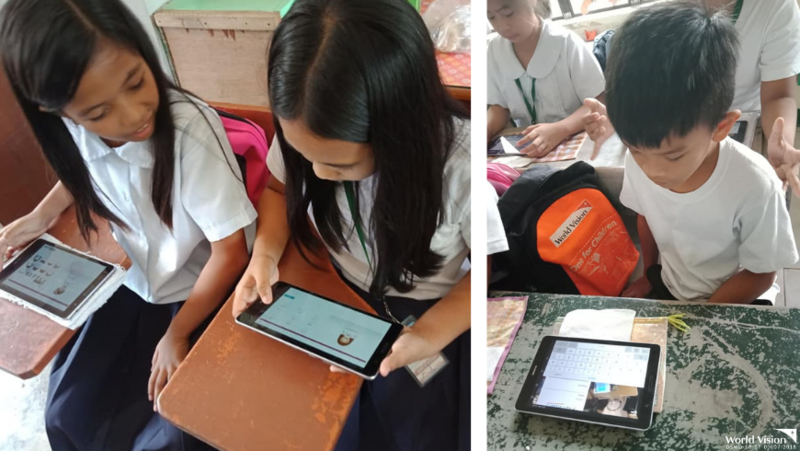 “World Vision’s Digital Education (ICT4E) project is one of the organization’s initiatives to respond to the Department of Education’s call to support its plans and existing programs. This project is also in close coordination with the agency to also ensure sustainability,” adds Jamora. 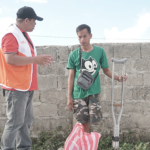 World Vision fully believes that children in conflict with the law deserve age-appropriate guidance and child expert interventions to correct and rehabilitate their misguided behavior.